The bracelet is apply to left hand. Please consider you mind or not before buying. How to measure your bracelet size? 1. Close your fingers together and bring your thumb to your little finger. 2. Use a strip of paper or tape measurements, wrap it around your hand at the widest point. The measure that paper strip with a ruler. 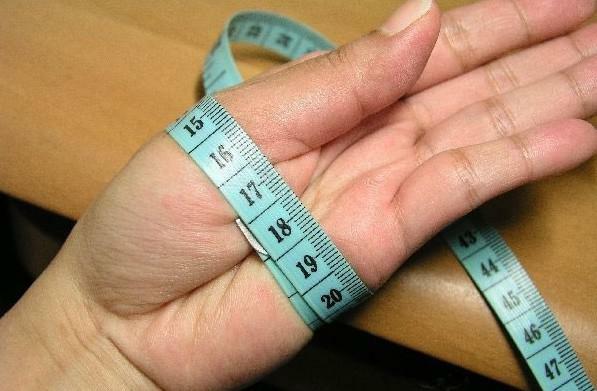 That will be the circumference of your hand. 2 5/8" 8 1/4" 8 3/5"